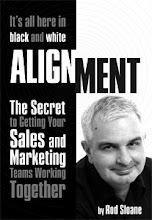 Sales and Marketing Alignment in London on April 12th. This complementary seminar is for Sales and Marketing Directors only. then Reserve Your Place Now! Do You Need a Budget to Qualify as Lead?